The Black Sticks have, for long, hovered around the fringes of greatness in world hockey, causing massive upsets from time to time, but have been unable to make it to the top since claiming gold in the 1976 Montreal Olympics. That said, New Zealand has often displayed that they have all the ingredients to be classified as a world-beating unit. As a matter of fact, the Commonwealth Games silver-medalists finished ahead of the Indians at the Rio Olympics, at the previous edition of the World Cup, and at the 2012 London Olympics. Darren Smith's team caused an upheaval in the Indian hockey fraternity by overcoming Manpreet Singh and co. at the semifinals at Gold Coast, and have just the right blend of old hands and fresh legs. The Rio Olympics was expected to be the swansong for Shea McAleese but the veteran will be in action at Bhubaneswar alongside fellow midfielder and stalwart Arun Panchia. Stephen Jenness, Hugo Inglis, and Marcus Childs have been the nemesis of many a defensive unit for Darren Smith's side while Jared Panchia who played his 100th international last week adds to the firepower up front. Meanwhile, the French made it to Bhubaneswar by getting past Wales, Scotland, and Poland in the Hockey World League Round 2 last year before losing the final to the Irish in a close shootout. Victor Charlet can inflict serious damage with his drag flicks while the Genestet brothers (Hugo and Tom) will provide the much-needed experience for Les Blues. 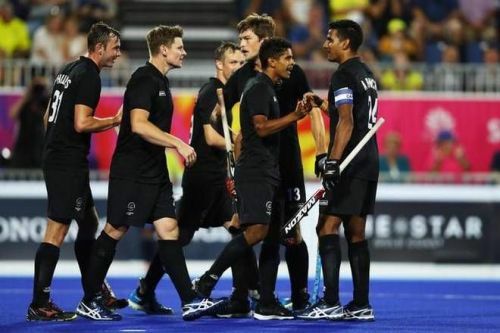 New Zealand played three practice matches against the Malaysians before landing at Bhubaneswar, winning two before losing the last, and will be keen to start with a bang against minnows France.